The use of websites for business is not something uncommon anymore. 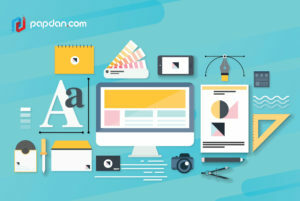 Businesses, small or big, still need a website to connect more with their customers and potential customers. A website is important for increasing brand awareness, interacting with customers and potential customers, increasing reliability as well as improving online visibility. For that reason, many business owners hire professionals to do web development and web design for them. If you are a business owner, you surely know that having a website alone is not enough. You need to make sure you have added important elements to your website so that it will work more effectively. However, in terms of design, businesses have different approach for their website. Of course, it depends on what your business is about. When a business delivers a fun theme, web designers know how to make it fun and casual. However, when a business is considered as corporate business, one should never play games with design. It is all about seriousness but effective at the same time. So, what are important elements that you need for your corporate business design? Keep reading to find out! I know business cards are important for almost all businesses; however, for corporate businesses, things like stationery and business cards are like the Holy Grail of all things. Simply put, a classic letterhead is still an important part of the corporate design. Although a lot is now handled electronically, it is still used often enough as a classic cover letter or an invoice. Also, a business card is like a timeless tool of your business equipment. Not only does this make your business unique and easily recognisable through the brand colour and design, this is also crucial for future business relationships in a traditional way. The fact that online visibility is one of the ways for businesses to be found by their target audience is no longer a secret today. 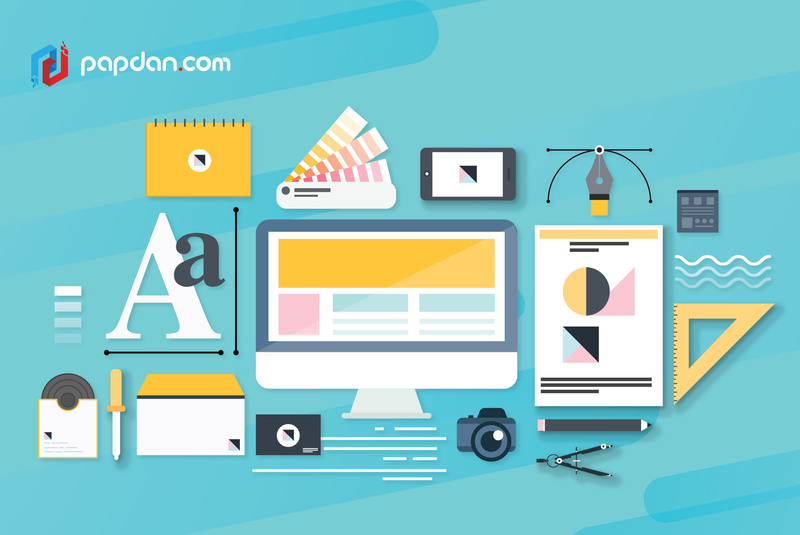 Your website can give you the opportunity to provide your customers with all the important information and messages you need to convey to them. However, only designing your website alone is not enough. A good web design should provide responsive design while showing high quality design at the same time. A corporate business can work well with minimalism and serious design. It can be modern design, but keep the seriousness and professionalism integral. The ability to be responsive is also important because your customers, clients or target audience may check out your website using different kinds of devices, especially those on the go; therefore, your web designers should be able to provide this feature for you. Invest in design but adjust! Design is a must in every business regardless of what business it is about. However, use your common sense. You can invest big in design and believe in its capability when it comes to your business, however, think of investing in the right places. You may define the style, timeframe, and budget for your business, but you have to leave other things to the pros. Therefore, make sure you leave this to the pros and make sure you find the right ones as well. In addition to that, flyers and brochures may seem to be outdated, but in the world of corporate business, it isn’t that old. In fact, it is still necessary. However, think of the budget and think big. Don’t just choose one method, think of the other ways and expand things. From that, you can surely grow your business more effectively and more efficiently. If you still haven’t found your feet, feel free to call us and let our awesome team help you. This entry was posted in Article and tagged agency, article, branding, business, content, design, designer, developer, development, ecommerce, google, marketing, Melbourne web designer, online, search engine, search engine optimisation, search engine optimization, SEO, SEO agency, social media, tips, web design, web designer, web developer, web developer agency, web development, website, website designer, website development on February 15, 2019 by Mario. The first two words of Radiohead’s 2016 masterpiece, A Moon Shaped Pool, is stay in. The last two, don’t leave. Read together, they form a sentence; stay in, don’t leave. It could be simple coincidence but A Moon Shaped Pool came out less than 12 months after lead singer Thom Yorke’s divorce with his wife of 23 years, Rachel Owen, and there are a lot of things on the album that hints at this, especially the closing track, ‘True Love Waits’. A Moon Shaped Pool came out on a Sunday and even after more than two years, I remember the moment ‘True Love Waits’ hit me. I put that song on repeat as I lie down on my bed crying with that song playing in the background. I used to joke that I never have problems making people fall in love with me, it’s getting them to stay that way that’s tricky and naturally, what’s true in love is also true in web development. I mean, we even have the term bounce rate that basically covers the same concept. In retail, whether traditional or online, we’re familiar with the concept of window shopping, which is an activity where a person browses through a store’s merchandise without any actual intention to buy anything. Even though you’re seeing only an increase in traffic but not sales, window shoppers are usually a good thing since there’s a good chance they would make a purchase at a later date. The wishlist feature available on most e-commerce platforms was meant to facilitate this. Bounce rate on the other hand is the kind of traffic you’re not necessarily looking for. The term is defined as the ratio of single-page visits against any other traffic. Bouncing is markedly different compared to window shopping because window shoppers usually click through multiple different pages first. Bouncers usually take one look at your website and then immediately head for the exit. Given that almost no one in the internet is actually pressed for time, it can be surmised then that the problem probably lies with your website. Bouncing is something you want to minimize as much as possible but the problem with bouncing is that there are various possible causes. It could indicate that your website has a horrible first impression, you might simply be attracting the wrong kind of traffic or that your content has terrible presentation. In the following section, we’re going to dissect each of these points and the possible solution you could try. First thing first, you want to remove any intrusive ads or interstitial pop-ups from your website immediately if there are any. Google hates them, I hate them and that adorable pomeranian I regularly see on my morning run probably hates them too. Trying to shove supposedly great offers down your visitor’s throat right off the bat isn’t attractive and it actually spotlights your lack of faith in your own website. Let your website and its content speak for itself and stop relying on cheap tactics to try and rope more customers. If your website is free from such distractions but you’re still seeing a relatively high bounce rate, it is possible the fault lies on your website itself. For me personally, amateurish-looking, excessively loud and poorly organized websites are a turn-off and if I saw any of that in any website I visit, my hands instinctively move to close that particular tab. Try to show your website to the people in your life that’s not attached to your business to get some genuine third-party opinions if you’re unsure about how your website would hold up against the general public. One possibility that might affect your bounce rate is that you’re simply getting traffic from all the wrong places and this might indicative of a fault or a misunderstanding in your SEO strategy. It is possible for example that you’re focusing on the wrong kind of keywords or that your PPC ad is being shown to the wrong people. When it comes to SEO and marketing, there are two things you have to focus on, the type of content you’re doing and the channel you use to market them. 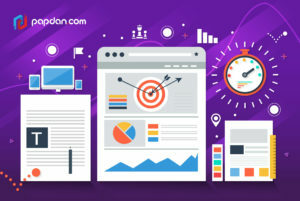 The common misconception when it comes to SEO is that people seem to think that far and wide is the best philosophy when a focused and targeted campaign is actually preferable. A campaign netting 1 million in traffic but only 5% conversion brings far less value than a campaign netting merely 250,000 in traffic but a conversion rate of 50%. Do proper market research first and build your marketing campaign around the data you’ve collected instead of simply going for the lowest common denominator. I’ve had this done to me repeatedly over the years so I think I’m completely in the right when I say that editing matters and this is all the more important when it comes to video and written content, especially written content. It honestly matters little how good of a writer you are if you can’t present that in an easily digestible way. Content writing, usually written with a marketing or sales intention in mind is a whole different ballgame compared to creative writing, where it is usually okay to be indulgent. In content writing, you need to figure out a way to get your point across as engagingly as possible without using more words than necessary. In a way, content writing can be difficult than creative writing because it requires a different skill set that the typical writer might not be in possession of. Overly long paragraphs and complex sentences, two things that I’m regularly guilty of, are verboten so edit and reedit your writing to trim those fat as much as possible. This entry was posted in Article and tagged advertising, agency, article, branding, business, content, design, designer, developer, development, ecommerce, google, marketing, Melbourne web designer, online, search engine, search engine optimisation, search engine optimization, SEO, SEO agency, seo services, social media, technique, tips, web design, web designer, web developer agency, web development, website, website designer, website development on February 15, 2019 by Mario. To be honest, I am a dedicated user of Zomato app. When I look for a new place to eat, I find it on Zomato. When I want to know if a restaurant is worth spending money on, I look for the restaurant reviews on Zomato. I was once so curious with this new All-you-can-eat BBQ restaurant near my living place because I found it on Instagram and I think people were so hyped up because the restaurant went all out for the Instagram ads. However, with so many good reviews on Instagram, when I saw the reviews on Zomato, I was taken aback by the bad reviews. I mean, it was so different than what appears on Instagram. This made me feel in doubt whether I should go there or not. Therefore, if you ask me whether restaurant reviews matter or not; yes, they matter. 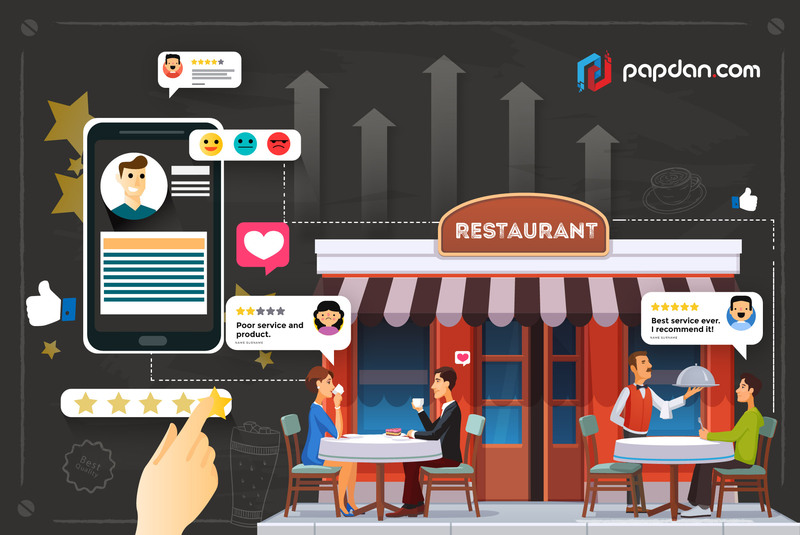 If you have a restaurant business, keep in mind that reviews from your customers are one of the most important aspects in your business’ decision makings. Also, if you are hiring an agency to do SEO services for you, reviews are helpful for improving your SEO as well. Research says that 60% of restaurant-goers read online reviews before going out for a meal. Also, customer-written reviews on websites like Yelp, TripAdvisor, and Zomato are preferred by 25% more people than reviews written by professional food critics. In short, reviews encourage customers to decide whether or not they should try your food. Aside from that, the better the reviews, the better your chance to get values from search engine like Google. Your restaurant reviews can play a part in local search visibility, especially in Google Reviews, as now Google My Business listing is very important for local search. Therefore, make sure you claim you Google My Business page. With that in mind, how can you improve your restaurant reviews? Keep reading this article to find out! Well, to get started, before improving your restaurant review itself, get as many reviews as possible. You can ask for reviews to your customers who are currently dining in your restaurant. Another way to do that is by promoting your restaurant’s presence on online review sites through your official social media accounts, website, email newsletters, blog, business cards, brochures, receipts, etc. I have seen online shop or restaurant owners end up getting angry at those who delivered bad reviews about their business. Well, bad reviews are there to remind you that you are not perfect. You should be glad that they ask you to improve sooner before it’s too late. Therefore, when you see bad reviews, filter the messages and find out what is still wrong about your business and what you can improve from that. Write all the negative parts and what lacks from your services and menu. Learn from those mistakes and improve your services. If your restaurant already got many bad reviews that you ended up with the rate below 3.0 (per 5.0), social media platform is the best way to get attention again from both new potential customers and your previous customers (perhaps those who wrote bad reviews about your restaurant too). Increase your brand awareness more effectively using Instagram ads as well. Hire several professionals who can take high quality photos and videos of your food and restaurant and post it to Instagram story and post ads. This will improve your restaurant reliability and surely catch people’s attention. Okay, this might be a little over budget, but a little help from social media influencers can boost your restaurant reliability and quality in the eyes of your customers. Not all social media influencers are expensive. Okay, maybe you can hire the expensive one but the rest of them are the ones with no more than 20k followers. As for the popular one, maybe you can hire a social media influencer with 300-500k followers, but that’s it. If you have more in your budget, you can choose your own social media influencers. I recommend those who are focused on culinary and food topics in their page. Yes, that’s how you improve your restaurant reviews. It may not immediately improve the rating; after all, it depends on your restaurant quality as well. Remember that bad reviews are not always bad. It simply reminds you to improve your quality for a better restaurant business. If you need more improvement on this, you can contact us now and let our team help you. This entry was posted in Article and tagged advertising, article, branding, business, content, design, designer, developer, development, ecommerce, google, marketing, Melbourne web designer, online, search engine, search engine optimisation, search engine optimization, SEO, SEO agency, seo services, social media, web design, web designer, web developer, web developer agency, web development, website, website designer, website development on February 15, 2019 by Mario.